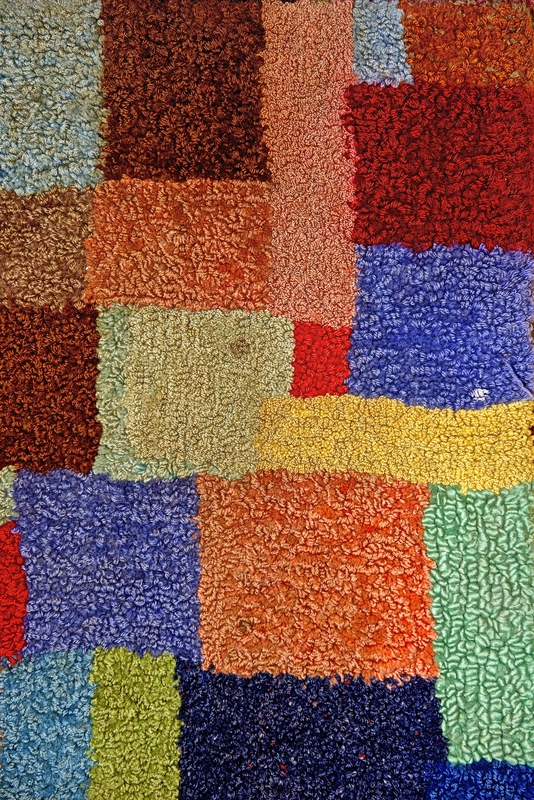 This hand made floor rug is one of two donated to the Museum. It is made of hand looped wool with hessian (sugar bag) backing. 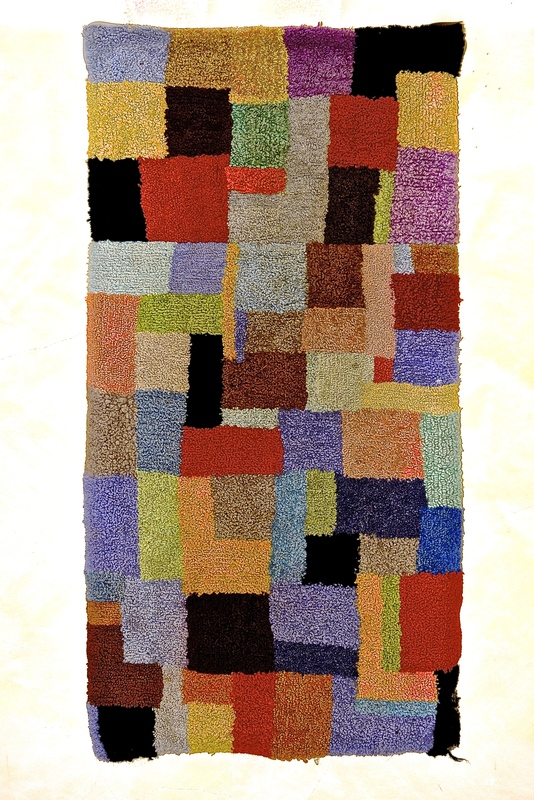 The rugs are in attractive colours reminiscent of Australian paintings of the 1930s. They illustrate the creativity and industriousness of times when everything for the household was not bought at the shop.